After breakfast we headed for the philosopher's path, but as we packed, David discovered that his notebook was missing. Catastrophe! Shaken (not stirred), unhappy and annoyed, we decided that IF it had been dropped at a temple or at lunch, THEN there was a chance for recovery. The philosopher's path follows a channelled beck with three obviously different species of fish, any of which would represent a good meal. Just beyond the end of the path (strictly speaking, the start), we came across Nanzen-Zi, a temple renowned both for its huge tower and gardens as well as several sub-temples. The "leaping tiger" was a revolution in garden design in 1291. The beck crossed the back of the complex on a fine viaduct. We continued towards yesterdays temple tour and found a shop selling prints and silhouette cuttings. We bought two pieces for the dining room wall at home. Rehearsed the Japanese sentence "I might have lost a blue notebook here yesterday" constructed from our Japanese phrasebook. 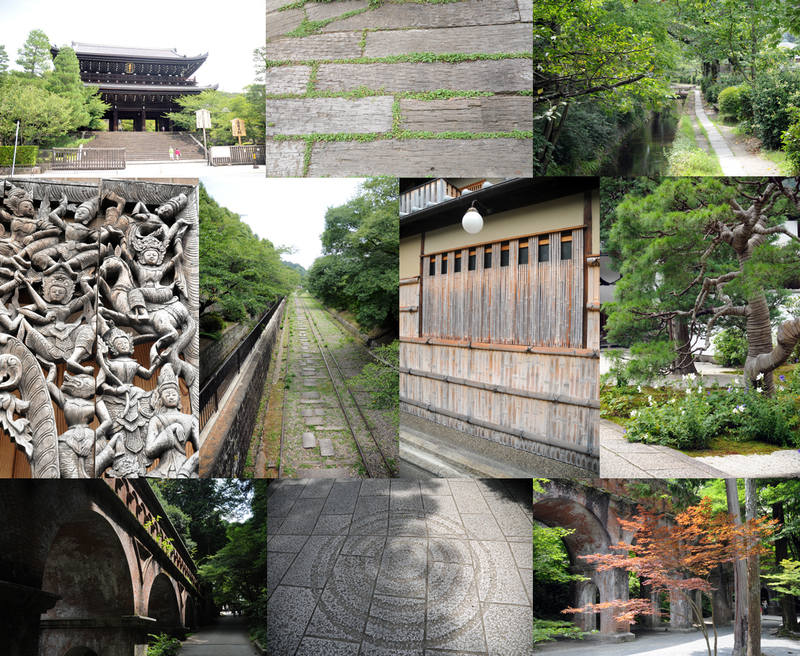 Through the park, no notebook, or turtles visible, we continued to the Entoko-In temple. No notebook. 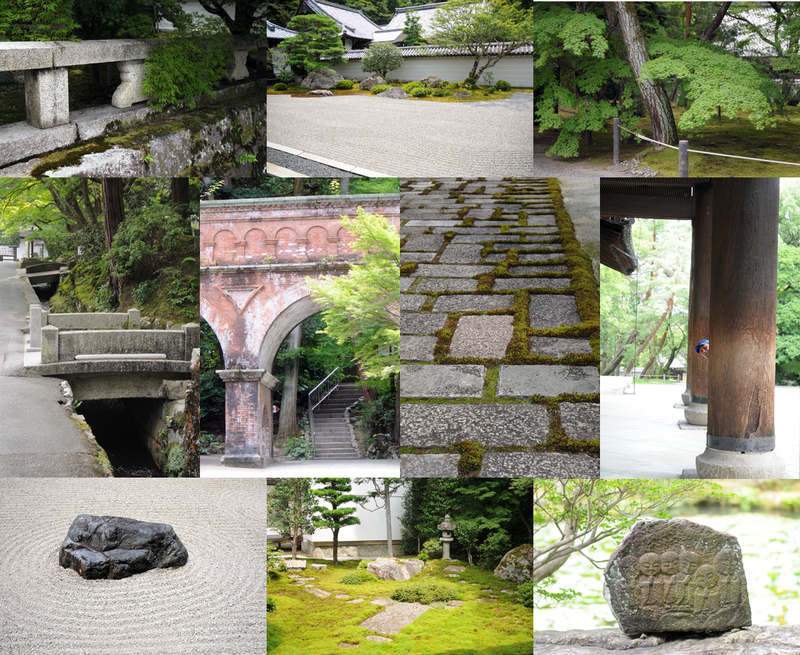 Up the steps to Kodai-Ji. Asked. Oh yes, said a voice in the background to the ticket seller. "Look under the papers" ... there it was! Not only pleased that the notebook was recovered but also that the effort by the people in the temple to keep it was actually rewarded by me coming back for it. Andrea is still puzzled about the seminal significance of three weeks of largely illegible (also to David) scribblings of mostly misspelt bird names. But what makes David happy, essentially pleases Andrea too. Even spending an hour retracing the previous day's route. Lunch was slightly more ornate than intended, but very satisfying. Down to the bus, and north to find the handicraft centre for souvenir shopping. After a detour (the map is ambiguous in this area) we managed to spend some money. 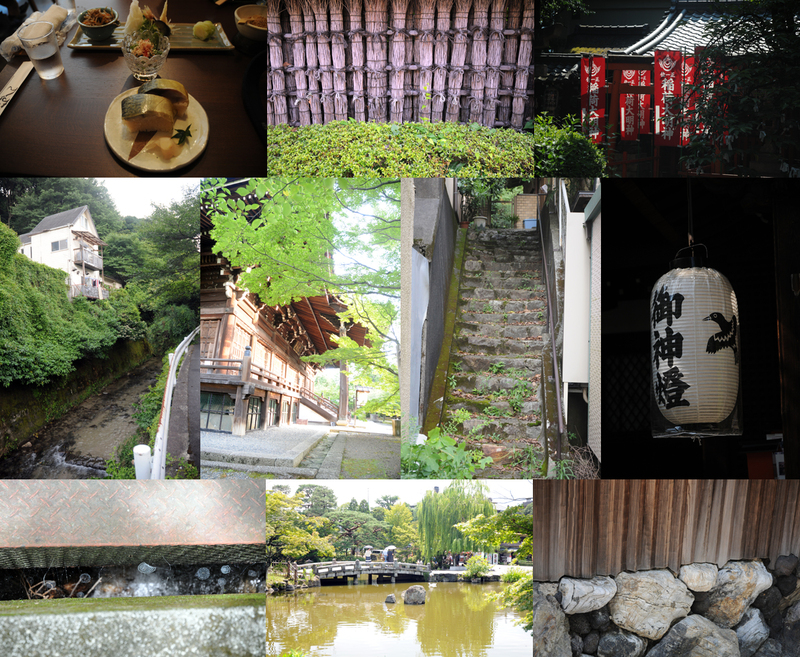 A coffee later, we decided to walk up the hill opposite our Ryokan. And guess what was at the top ... another temple. Not even in the guide book, but very fine and worth the climb. We were there at six when the evening gong was sounded. Four times, with a pause for the resonance clang to fade. Very evocative. 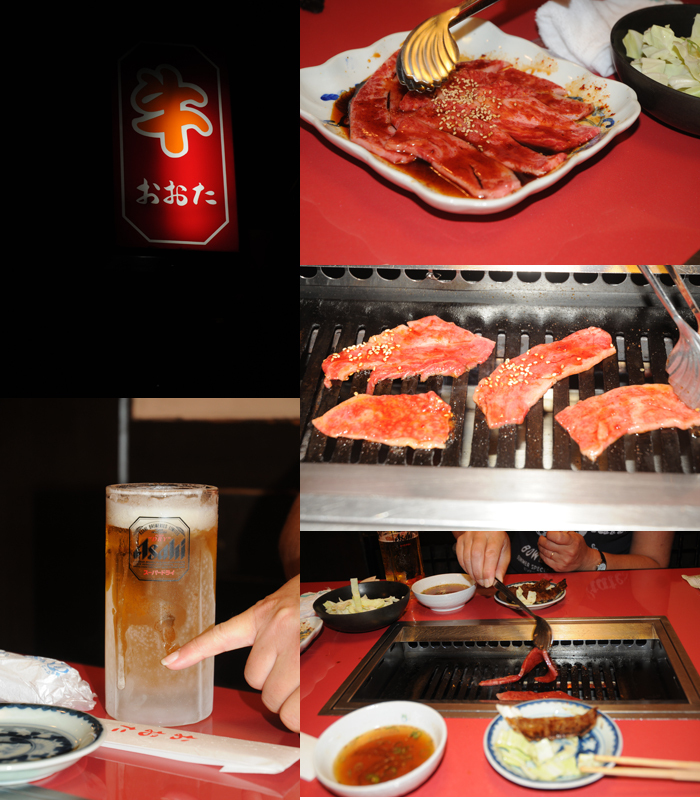 After dumping our shopping we found an anonymous small restaurant, 50m from the ryokan, which served some of the best barbecued beef we have ever tasted. Yummy!